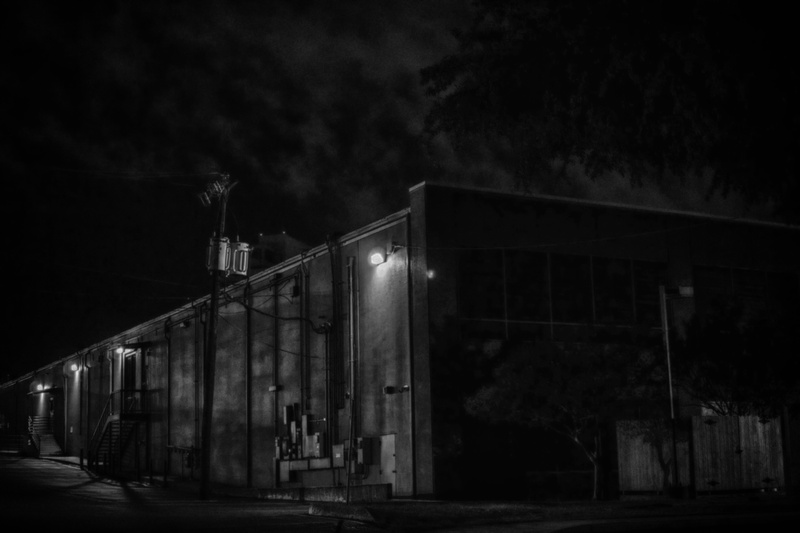 Wandering about late at night I came across these loading docks on the back of a strip mall nestled along Interstate 10 in San Antonio. The docks gave me a sense of loneliness – the good kind, of course. They sparked that sensation, which I can only describe as beginning at the backs of your knees, which I feel when I want to be alone with my thoughts. I thought of the men who will work these dimly lit cargo bays in the early morning and I thought of longshoremen cussin’ and cowhands whoopin’, as Woody Guthrie was fond of saying. It is in this lonely solitude that we are, perhaps, most ourselves. Such a possibility encourages one to keep good company, lest that outcome prove to be torture.